While on our western trip earlier this year (September), Betsy and I traveled from Red Lodge, Montana, to Yellowstone along the Chief Joseph Scenic Byway. The day was beautiful and the scenery was spectacular. 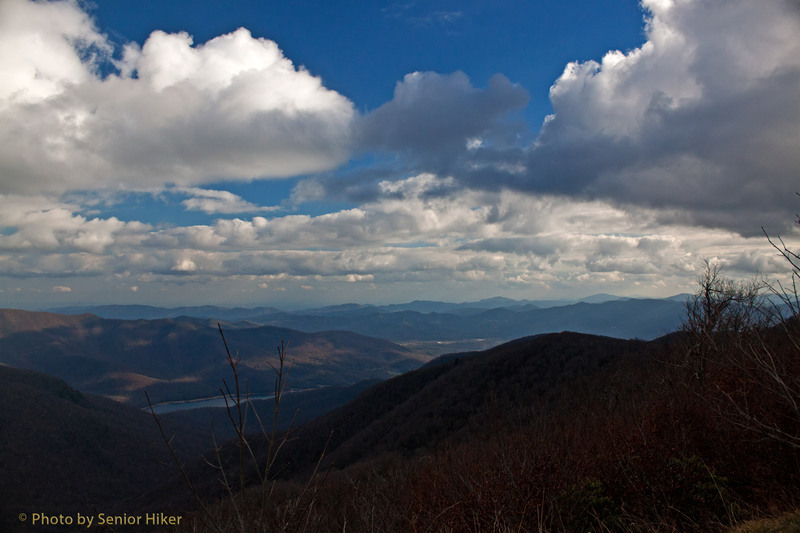 This panorama shows part of the view from Dead Indian Pass on the byway. 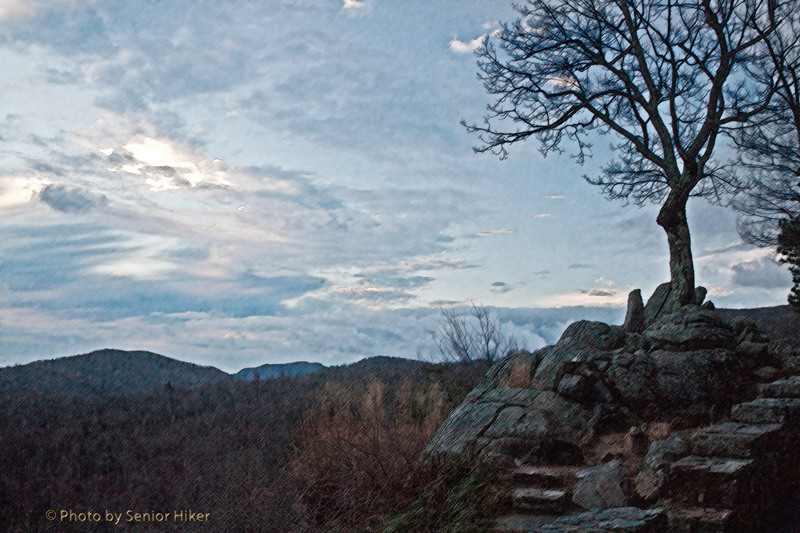 A couple of weeks ago, Betsy and I stopped at Caesar’s Head State Park in South Carolina before hiking to nearby Raven Cliff Falls. The views in the park were awesome. 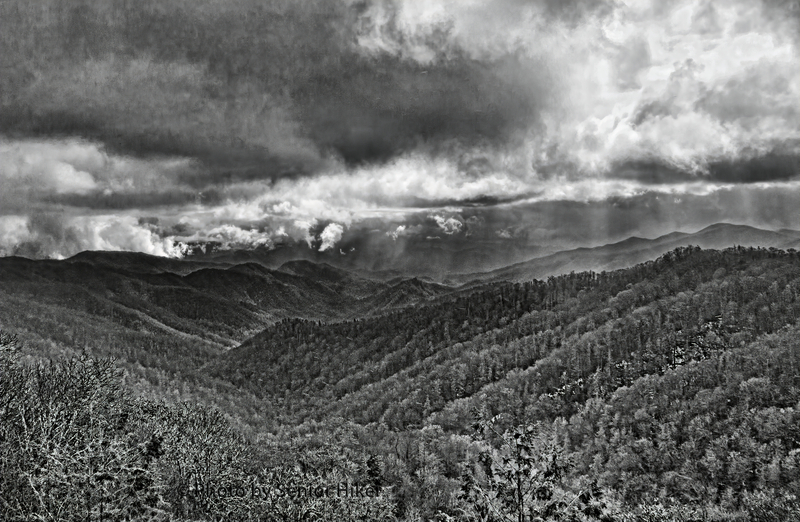 I made this panorama from photos taken at the park overlook. March 22, 2017. It’s not always easy to get up on a winter morning before dawn in order to walk the golf course, but sometimes the sky is so glorious that it makes the whole effort worthwhile. 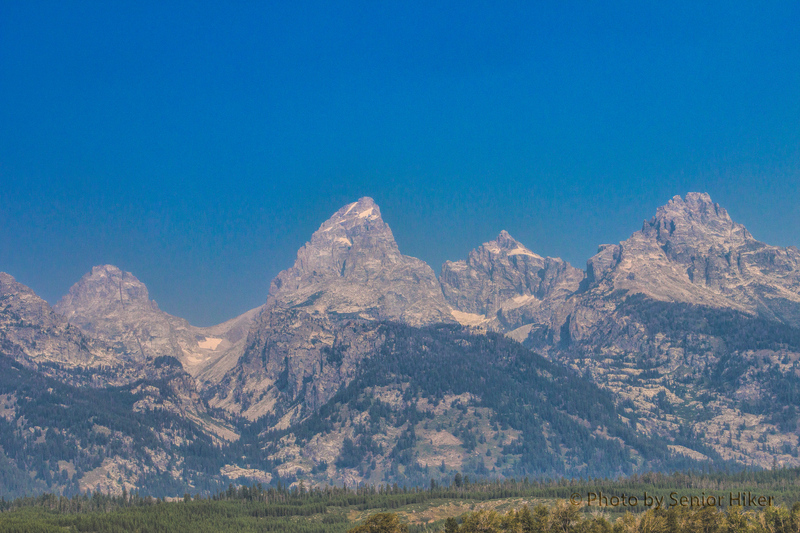 Betsy and I visited Grand Teton National Park in late August. We had been there back in 2012, but at that time the smoke from wildfires obscured the mountains, so we felt we needed to go back. We found a smoky haze on our first day there, but we were still able to enjoy those magnificent mountains, as the picture above shows. 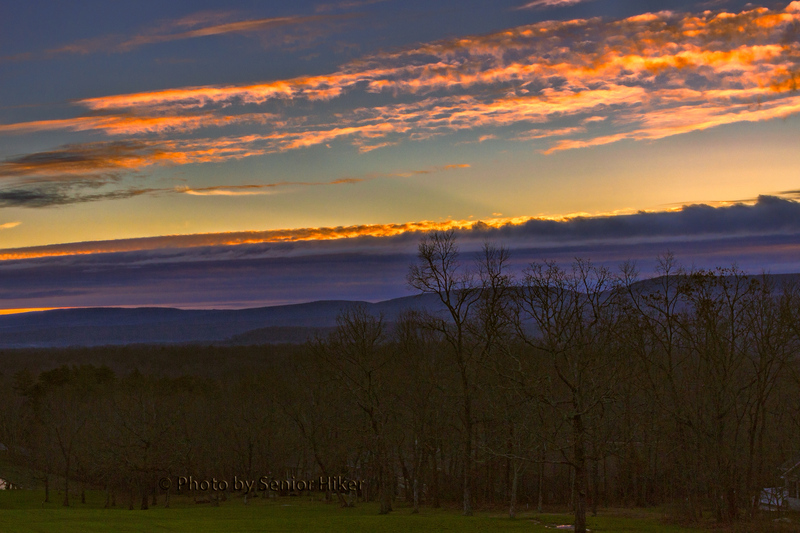 Betsy and I drove along the Blue Ridge Parkway and Skyline Drive in November a couple of years ago. We stopped at most — if not all — of the overlooks along the way. 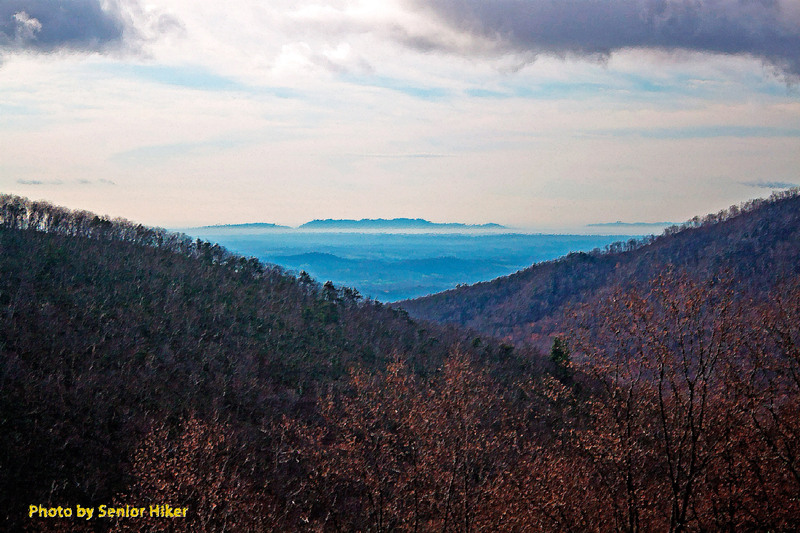 One of the overlooks in Virginia offered a view of Head Foremost Mountain. The mountain in the distance seemed to float between the mist below and the clouds above. The picture on which this painting was based is shown below. 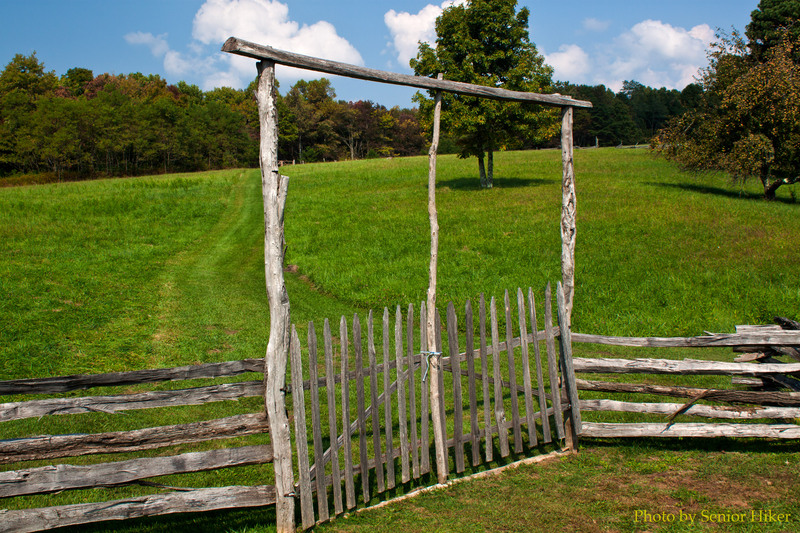 The Hensley Settlement in Cumberland Gap National Park is a historic homestead community on top of Brush Mountain. 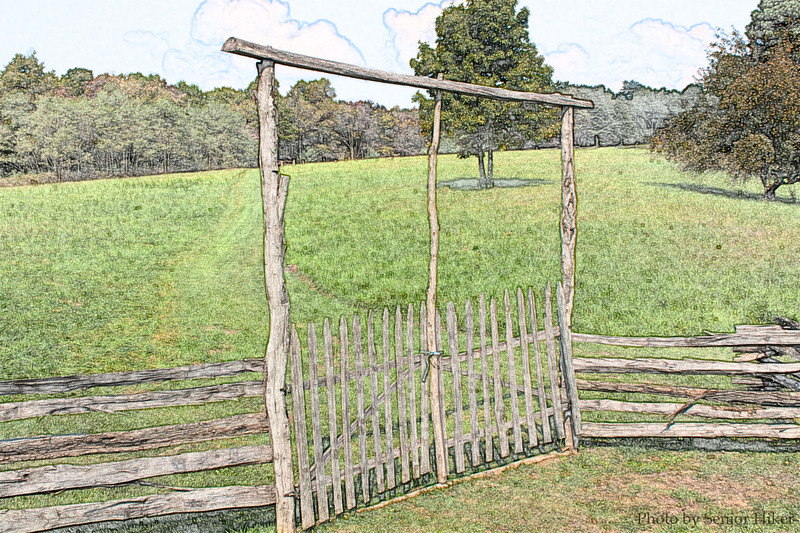 While walking through the community Betsy and I saw this homemade gate across a path leading to a pasture. In late June Betsy and I traveled to North Carolina to meet my son Robert and his family. 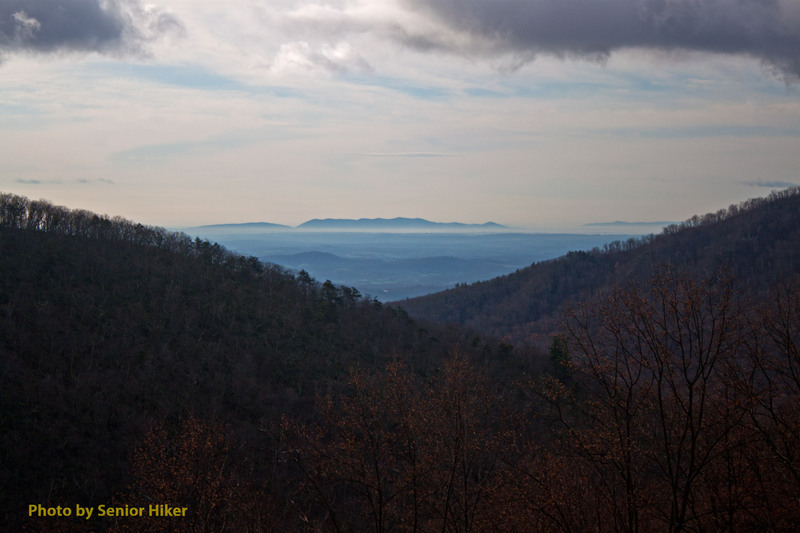 We took the opportunity to visit the Blue Ridge Parkway, which is a favorite drive of ours. 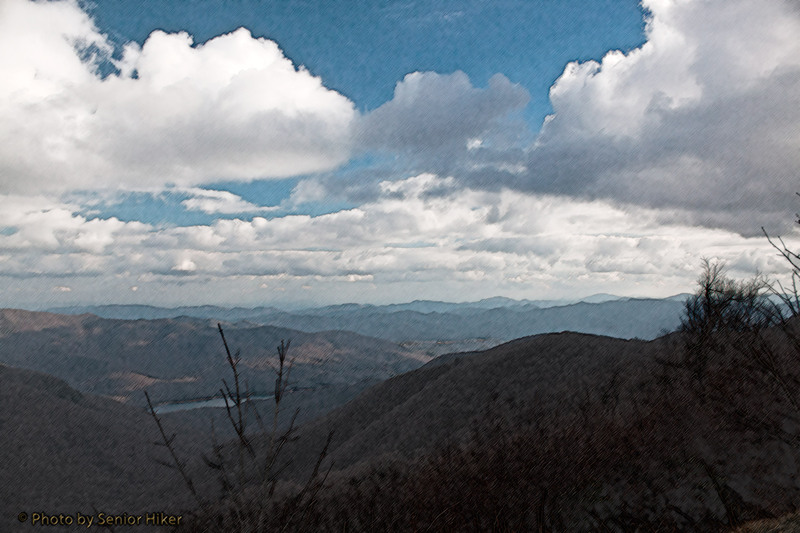 We stopped at the Tanbark Ridge Overlook north of Asheville, North Carolina, where I got this panoramic view of the sky and those beautiful mountains. This is a drawing based on a picture I took on an early November in 2011 at Hazel Mountain Overlook on the Skyline Drive in Virginia. The day started very foggy and cloudy, but as the sun came up it started to break through the fog and clouds. We came upon this sight a few minutes later. There were still clouds in the valley below us, but some blue sky could be seen in the sky above. As most of you know, Betsy and I love the mountains — the Smoky Mountains here in Tennessee and the Blue Ridge Mountains in North Carolina and Virginia. We enjoy visiting the mountains just about any time of the year. 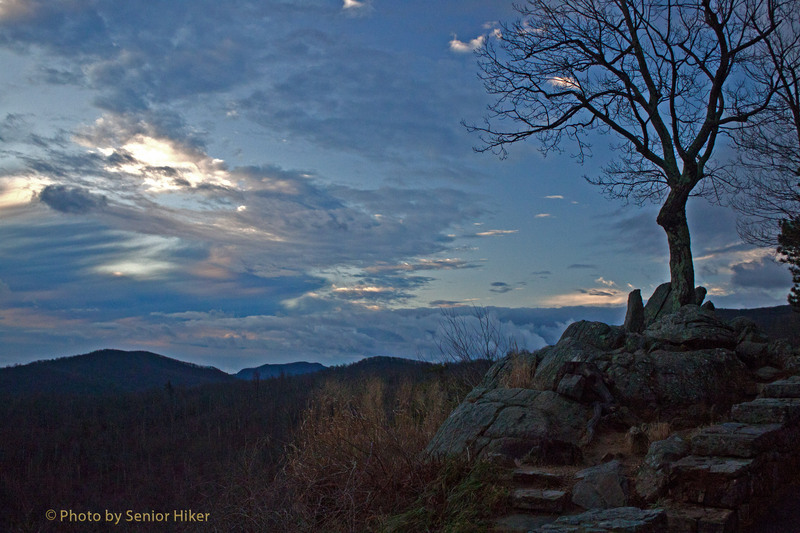 The drawing above shows the view in late November from Craggy Gardens on the Blue Ridge Parkway north of Asheville, North Carolina. You can see Burnett Reservoir in the valley below and clouds and mountains stretching to the horizon.